Welcome to the Neopian Word of the Day. 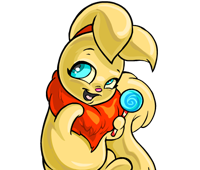 Each day we choose a word, a Neopian word, and it is displayed on the Pet Central page. If you have any suggestions for any words, please enter them below. Enter your word of the day!